This new book provides a vivid reconstruction of a bloody fight of attrition. The main body of text and the photo plate section provide an engaging narrative, supported by time line tables, maps, notes and preface. As an account of this immensely important English battle, the book will be very difficult to better and makes many earlier accounts dated and no longer applicable. DESCRIPTION: The Wars of the Roses were to prove a protracted conflict between the Houses of York and Lancaster. They ended only when Henry Tudor, who some believe held a poor claim to the throne, defeated and killed Richard III at the Battle of Bosworth. The recent discovery of the body of Richard III may well encourage some innovative reviews of the closing stages of the Wars of the Roses. 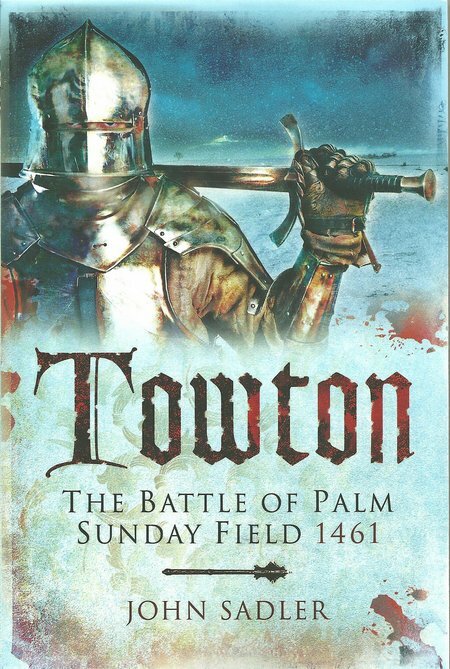 The author has provided a fresh and comprehensive review of the Battle of Palm Sunday Field. As this battlefield has received a great deal of recent archaeological attention, it is possible that the full significance of the battle has been over played. That will not be fully understood until every other battlefield of the period has been given the same level of attention. As a tipping point in the conflict, Towton may fully justify the claims that is was the most significant, but in the fullest sense, Bosworth Field must be regarded as the most significant because it was a decisive conclusion in the civil war that left one clear winner, Henry Tudor. At Towton, the engagement was massive by the standards of the time. It has been claimed as the longest, bloodiest battle in English history and it certainly assembled two large armies that fought fiercely through a very long day. A Medieval battle was a slogging match where each side attempted to sap the energy of the opponents and hope to be able to force them from the field, hunting the fleeing soldiers and cutting them down in ones and twos or in small groups. The fury continued beyond the end of battle with the dead and dieing mutilated as they lay on the ground. Although archers were employed and early firearms were making their appearance, a battle was largely fought by two scrums in close contact. The result was that any soldier that received no wounds was the exception and probably avoided injury by holding back from the main fight.